Archbishop Charles Chaput will lead the 31st Annual Commemorative Prayer Service in honor of Rev. Dr. Martin Luther King Jr. on Sunday, Jan. 19 at 3 p.m. at St. Malachy Church, 1429 North 11th Street in North Philadelphia. Catholics and other Christians plus people of other faiths are invited to St. Malachy’s to celebrate the life and legacy of the civil rights leader. The prayer service will begin with a procession of religious leaders. Invited speakers from several denominations will proclaim a Scriptural passage and offer a short reflection. The St. Malachy Parish choir will lead the congregation with gospel music. 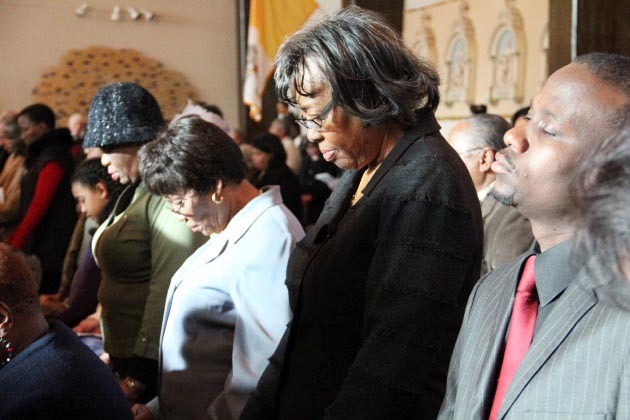 The prayer service is sponsored by the Philadelphia Archdiocese’s Secretariat for Evangelization and the Office for Black Catholics.